Welcome! Our goal is to continue to drive innovation and find new channels that deliver performance for our clients. If you are interested in any of the programs listed below please sign up. In the old days, a single TV ad could reach millions of viewers. Now, people are watching TV in all kinds of ways—and in all kinds of places. Some still have TV screens in their living rooms, but more and more are watching on their phones, tablets, and computers. Even though viewership gets more fragmented every day, you still need to reach them. We help you put your ad in front of TV viewers, regardless of how they’re watching their shows, and we make sure you reach the right people—at any point in the customer journey. Goal: Drive brand awareness with your desired audience. The goal of this beta was to measure lift in conversions, uniques reached, and impressions. We tested four different cross device providers: AdBrain, Crosswise, Drawbridge, and Tapad. Conclusion: We saw an average lift in conversions of 15-20%. An average increase in devices reached of 95%. An average lift in impressions of 52%. SteelHouse is currently developing cross device solutions into the SteelHouse Advertising Suite. Expand your dynamic ads audience beyond website visitors. This product is designed to help you find new customers for your business. The carousel ads will feature relevant products from your product catalog and targeted towards potentially interested users. Instagram & Facebook Stories Vertical Video has arrived! With over 300 million stories produced each day on Instagram and over 150 million people viewing Facebook stories daily, stories is one of the fastest growing ad formats. Reengage your current customers or connect with new prospects to drive meaningful outcomes with immersive vertical videos. Don't have vertical video assets? We can convert your landscape videos into vertical videos! Ask us how. Reach new customers and bring your business to life with Facebook video ads. With over 50% growth in video viewing on Facebook and Instagram, businesses like yours are driving awareness and sales with video ads. The goal for this beta is to drive video views, site traffic, and conversion value using best practices. The minimum test period will be one month, starting 4/1, and video assets are required. Bring your business to life with Facebook video ads. The goal for this beta is to drive video views and conversion value using best practices. The minimum test period will be one month and video assets are required. Facebook selected us to participate in its exclusive beta. Dynamic Prospecting ads contain a product carousel that display your most popular products. Facebook and Instagram are some of the best places to get new prospective customers. With more than 1 billion people using Facebook and Instagram everyday, we can help you find new users who are likely to engage with your business. To ensure we are reaching new users we will block existing site traffic and any customer provided email lists. Conclusion: this beta program proved to be highly effective at not only grabbing users attention but also targeting users who are most likely to convert. The average ROAS was 11.47 with an average CTR of 1.85%. This combination of effective ads and targeting resulted in performance on-par with retargeting campaigns. Facebook plans to release Dynamic Prospecting in 2017. After Facebook's launch, SteelHouse will add this feature to the SteelHouse Advertising Suite. Facebook slideshow ads are video-like ads that use motion to tell your story beautifully across devices and on every connection speed. Highlight your brand through stand alone product images or eye catching lifestyle photos that rotate automatically. With Slideshow you can tell a compelling story that brings your brand to life. The minimum test period will be one month and image assets are required. Goal: Drive site traffic and conversion value using best practices. Conclusion: this beta program proved to be very successful in engaging new customers with unfamiliar brands ultimately resulting in a positive ROAS for all participants. The average ROAS was 3.9 with an average CTR of 0.32%. SteelHouse officially launched Facebook and Instagram Static Prospecting in the SteelHouse Advertising Suite in Dec 2016. The Facebook Collection ad format helps businesses drive mobile shopping in a more visual and immersive way. Collection is ideal for retail or eCommerce advertisers who want to show an inspirational video or image alongside their products. Drive product discovery on mobile and deliver a seamless browsing experience on mobile. People who tap on your ad can browse more products in a fast-loading, full-screen experience, without leaving the Facebook app. *MUST have at least 5 products on site. The store visits objective lets you create dynamic local ads for multiple store locations so you can drive store visits and in-store sales. This objective also lets you target people within a set distance of one or many of your store locations with ads designed to help people navigate to or contact the location closest to them. The provided reporting will show the number of store visits generated after people saw your ads. This feature is still in testing and requires approval from Facebook prior to setting up the campaign. Signing up through the innovation hub does guarantee eligibility. In partnership with GumGum, SteelHouse advertisers have the ability to test custom in-image ad overlays, which have shown 10x better engagement than traditional display ads. GumGum uses image-recognition technology and page analysis to serve ads on relevant content, cross-device. We will build custom creative units from existing static and video assets for an engaging consumer brand experience. Ads will run across an exclusive network of premium publishers such as: Time Inc, Food & Wine, People, InStyle, USA Today, Variety, Rolling Stone, Travel and Leisure, Ellen. The collection ad format on Instagram makes it easier for people to discover, browse and purchase products in a visual and immersive way. This mobile only format allows you to showcase your brand with multiple products in feed and take customers on a seamless post-click experience to a full-screen canvas layout. Can be used as a mid or lower funnel approach. Goal: Reach new users and drive conversions. In partnership with Factual, we are testing highly customizable location based audiences and geofencing capabilities. The way people behave in the real world can be the most powerful signal for understanding who they are and what they want. Analyzing user location data in real-time allows you to target users based on their real world behavior or places they have recently visited. -Place Targeting: Reach users at specific locations, chains, or stores to stay top of mind. -Geo-Conquesting: Find users while they’re visiting your competitors’ stores. -Funnel Messaging: Tailor your messaging depending on how far users are from your stores. -Category Targeting: Reach users at categories of places, like all coffee shops, parks, or airports. Goal: Brand Awareness and Clicks. 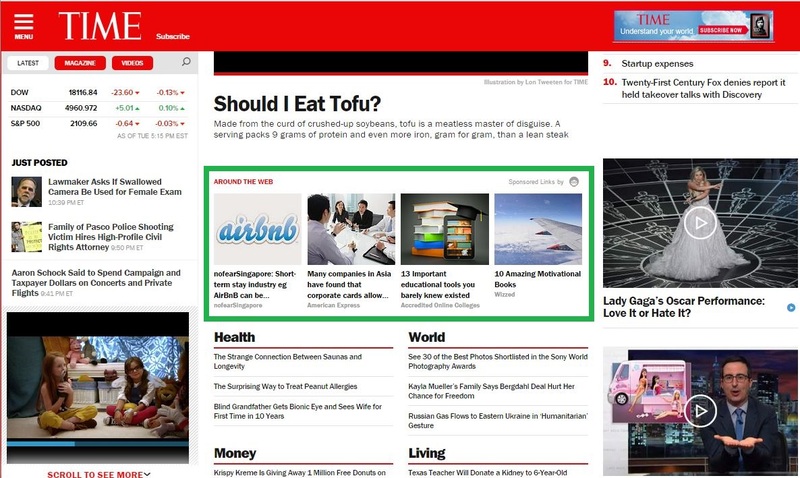 In-feed and in-article native ads allow the advertiser to immerse their brand within the publisher site or app to reach the right user, at the right time, within the right context. Native ads match the look and feel of the publisher site or app while offering a seamless experience. Native ads have been shown to be more visually engaging, drive higher brand lift, and ultimately drive higher rates of click engagement that traditional banner ads. With our programmatic solution, you can reach users at scale across a multitude of publisher sites and apps thanks to our integrations with industry leaders like ShareThrough, TripleLift, YieldMo, Google AdX, AdYouLike, Nativo, Ligatus, and Taboola. With our programmatic solution, you can reach users at scale across a multitude of sites thanks to our integrations with industry leaders like ShareThrough, TripleLift, and Taboola. The goal of this test is to increase engagement, drive site traffic, and grow your retargeting audience. Goal: Increase engagement, drive site traffic, and grow your retargeting audience. Serve engaging videos across Pre-Roll, Mid-Roll, Outstream, Interstitial, In-Feed, and In-App placements. With access to over 20 leading Video SSP's and access to hundreds of PMP deals, you can reach your desired audience wherever they are. Ideal for prospecting and mid-funnel campaigns, video can help tell your brand's story and complement the efforts of your display initiatives. Let your brand be heard with Programmatic Audio. Programmatic audio provides a brand-safe, measurable, and powerful opportunity to immerse audiences in your brand. Leverage 1st party or 3rd party data or simply target based on demographic and geographic factors. Reach your desired audience with non-skippable audio ads plus companion banners on Spotify, iHeartRadio, SoundCloud, ESPN Radio and many more. Goal: Reach, completion rate, CTR. Ideal for upper-funnel brand awareness. In partnership with LiveIntent, you can now place highly viewable display ads in email just like you do on the web. Serving ads in email newsletters allows you to target a unique and highly engaged audience within their inbox - where they have opted in to receive content. Tap into exclusive inventory featuring over 2000 top publishers such as WSJ, NYT, Meredith, Condé Nast, Aol, etc. providing buyers 165M monthly unique users. Goal: Drive brand engagement and new site traffic; top of funnel. 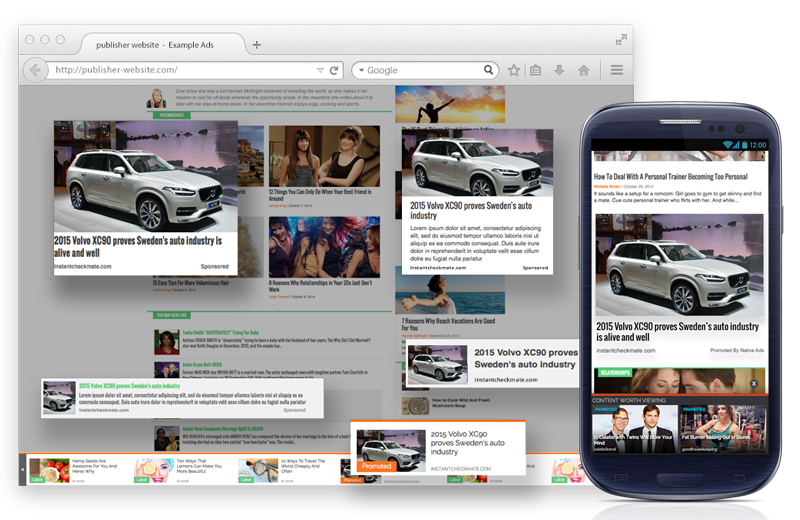 Want to increase brand awareness and drive mobile site traffic? Reach millennials with your brand’s story using Snapchat’s vertical video ads. Snap Ads offer distinct audiences, powerful targeting and an immersive experience. Capture your audience's attention with 10 second max ads, 3-5 second ads with sound on are known to preform best. Leverage 3rd party audiences, lookalikes and over 300 pre-defined audiences to target your desired users. Placements include: publisher stories, Snap stories & shows, user stories. Reach out to Spotify and Pandora's 100+ million users who spend an average of 2.5 hours per day on their platforms. Spotify and Pandora offer premium environments that help drive engagement. Display ads are shown in isolation without competing content and are 100% viewable. The goal of this beta is to drive website traffic and conversions. The minimum test period will be one month and ads will be served across both mobile and desktop devices. Ad size requirements are 300x250 and 728x90. Reach out to Spotify's 70+ million users who spend an average of 2.5 hours per day on their platforms. Spotify offers a premium environment where videos are shown in isolation without competing content, are 100% viewable, and only completed views are billed. The minimum test period will be one month and ads will be served only on desktop devices. Turn your content into beautiful in-feed native ads. TripleLift’s native exchange allows you access in-feed ad inventory across the world’s most premium publishers. Automatically turn assets into thousands of unique ads that match the look and feel of each website. Conclusion: Test proved successful with an average eCPA of $21.45. SteelHouse is currently developing Native into its platform. Conclusion: Test proved successful with an average eCPA of $2.03. SteelHouse is currently developing Native into its platform. Focus of this beta was to drive website traffic and conversions. Conclusion: Twitter Prospecting campaigns did not perform on-par with other channels with an average CPA of $341.09. Although the CTR was strong it didn't result in qualified users reaching the site. SteelHouse is still considering adding Twitter to its suite of products. Conclusion: Twitter Retargeting campaigns did perform on-par with other channels with an average CPA of $4.41 but very few click conversions. Although the CTR was strong it didn't result in qualified users reaching the site. SteelHouse is still considering adding Twitter to its suite of products. There are no programs in this category. Are you a current SteelHouse customer? Please complete the following form to sign up for this exciting beta opportunity! You will be contacted by someone within the next 48 hours regarding your sign up. If you have further questions in the meantime please reach out to your account manager. Please be aware that once the beta test period begins, the test cannot be paused or terminated for any reason. By signing up for this case study, you agree to a non-branded case study on the results. By signing up for this beta, you agree to a branded case study on the results. The branded case study may be used for Steelhouse advertising purposes. Submitting your application does not guarantee admittance into the beta program.